I'm sad to say we are currently about halfway through the glorious summer season. My bucket list still has too many things unaccomplished and it makes me so sad. But I don't want to dwell is my sorrow, I want to just get to it - starting with an outdoor movie. I've wanted to do this for so long and this is the summer to make it happen. Since weather has been unexpectedly cooler in the evening, I can make it even cozier with extra pillows and blankets. The other great thing about movie night outside is the snacks are limitless. Dripping and sticky popsicles and watermelon are made for the outdoors and not something you typically eat during a movie. 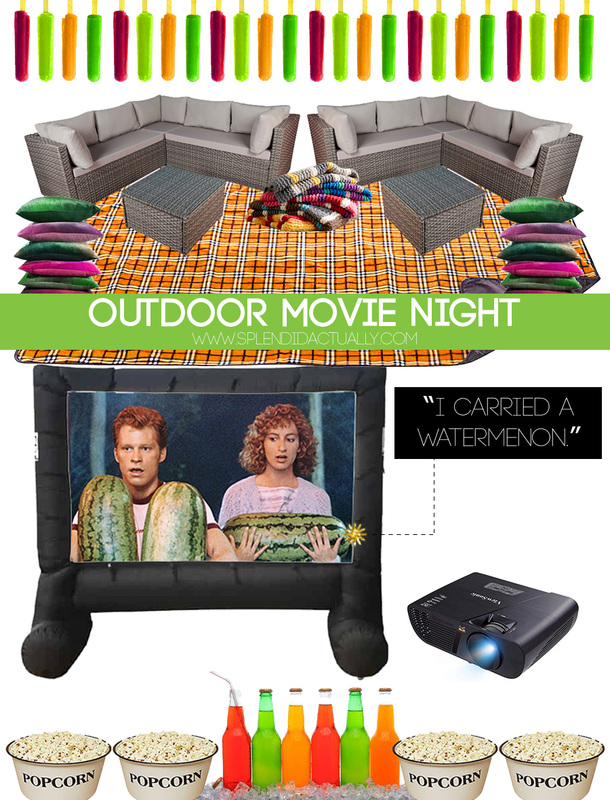 I love the idea of combining your movie treats and summer sweets in your backyard movie night. What's your favorite summer movie? I'm a Dirty Dancing fan myself but Grease, I Know What You Did Last Summer, Caddyshack, and Jaws are also classics!